Are you looking for an easy to drive vehicle with ample space along with top-notch efficiency? 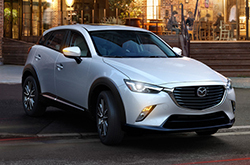 In a world that is so often filled with compromises and trade-offs, the 2016 Mazda CX-3 debuts as a subcompact crossover fit for commuters, local families and active drivers. From the SKYACTIV® TECHNOLOGY that promises ample power and the all-new all-wheel drive system to the sleek KODO design language and upscale interior, the 2016 Mazda CX-3 in Springfield proves itself as a well-rounded crossover built to contend. In its 2016 Mazda CX-3 review, Car and Driver hailed the subcompact crossover's cabin as "wonderfully upscale for an entry-level vehicle and supremely comfortable". Add this to Edmunds.com's comparison of the interior to that of an Audi and it is clear that the Mazda CX-3 is a dynamic choice when it comes to top-tier quality. After all, the base Sport includes plenty of amenities including a rearview camera, Bluetooth phone and audio connectivity, a 7-inch touch screen display and Mazda Connect smartphone integration. Upgrade to a Touring or Grand Touring model and you'll be proud to flaunt the sunroof, navigation system, Bose seven-speaker audio system and paddle-shift transmission. The premium design aspects carry through to the sleek exterior that is marked by a bold road presence built to turn heads. From the front grille and sharp headlamps to the elongated body with blacked-out D-pillars and the clean rear proportions, the Mazda CX-3 boasts an excellent exterior that highlights agility and athleticism. This nimble appearance is met with a capable powertrain that was engineered using SKYACTIV® TECHNOLOGY. Between the 2.0L four-cylinder, exceptional six-speed automatic transmission, new-generation AWD system and elite SKYACTIV® TECHNOLOGY chassis system, buyers of the 2016 Mazda CX-3 in Springfield will enjoy the smooth ride that is offered in this well-rounded subcompact crossover. Whether you are looking for a capable crossover without the bulky feel of an SUV or a car that features the efficiency of a sedan with the space of a larger vehicle, you will find exactly what you are looking for in the all-new Mazda CX-3. Want to learn even more? Check out the rest of our 2016 Mazda CX-3 review below or stop by our location in Springfield to test out this exceptional compact for yourself. 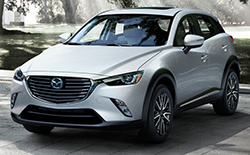 If you've ever thought about purchasing vehicles like the 2016 Fiat 500X, Jeep Renegade, Honda HR-V and the Chevrolet Trax in Springfield, compare Mazda's new 2016 Mazda CX-3 first; we're sure that it's the right fit for you. MO shoppers will be pleased with the Mazda CX-3's state-of-the-art features and low cost. 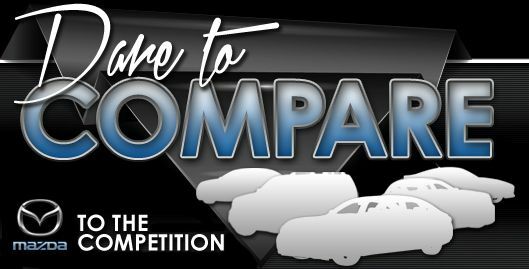 When compared to the vehicles listed above, in terms of price it's clearly a fabulous value, making it a number-one choice among Mazda customers in Springfield. Find out more - Check out the bullets below this text! Make the most out of your next Mazda purchase. Reliable Mazda offers reviews like the 2016 Mazda CX-3 one above, along with reviews of earlier models, so you can research before you buy. Because it's uncommon to get reviews with up-to-date? specs on dealer sites, we've made it our responsibility to provide reviews from expert writers. 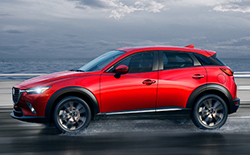 Want to know about the 2016 Mazda CX-3's safety technologies and other specs? As your Mazda dealership, you can count on us for credible information. Learn all about our entire selection of amazing automobiles! If the Mazda CX-3 isn't the right choice for you, we've got many other Mazda reviews and car comparisons. Visit our research archive to view them now!